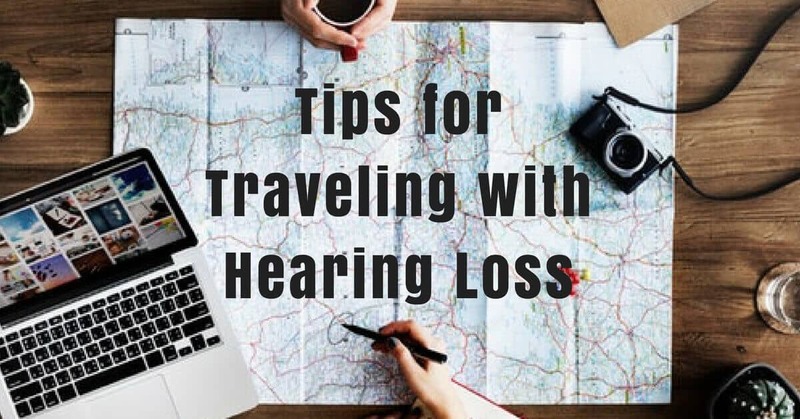 Traveling is supposed to be fun, but it can be stressful if a hearing loss is in the picture. Navigating daily life on familiar turf can be a trip in and of itself. What’s worse, hearing aids mixed with travel can make an uncomfortable sauce. All those good daily habits you’ve worked so hard to establish go right out the window. Changing up your daily routine is part of the allure of getting out of town. However, if hearing loss is a part of your life, it can be terribly confusing and challenging. Sometimes, people even curtail their vacation planning just to avoid encountering the stress of overcoming those obstacles. A few best practices can save the day and save you some headaches, too. Trial: Difficulty following airline instructions. You’d think the airport PA system was the oldest piece of technology in the entire complex. We can surf the internet mid-flight, but announcements about boarding and flight times must be run through what is possibly a set of tin cans strung together with string. No one can understand them, even those with healthy hearing! Solution: Sign up for email and text notifications. Most airlines now offer text notifications to flight changes when you purchase your ticket. This can be really helpful and even save you hours of sitting in the airport if your flight is delayed before you’ve left for the airport. Gate changes are often communicated this way, so you won’t have to worry about missing an announcement and waiting at the wrong gate. Make all travel arrangements in advance and have written confirmation of your itinerary. Check in with the desk attendant to let them know that you’re prepared and hearing impaired. That way, they know that if anything changes from its predetermined schedule, you’ll need a verbal update. The comforts of home are often in their predictability and the ways we can control the environment so that our needs are met. Being in a hotel room for any period of time yanks both of those certainties out from under you. What good is a television you can watch in bed if you can’t hear it? Will you hear the alarm clock or telephone ring? Or even a smoke or fire alarm if there’s an emergency? The unknowns are stressful. Hotels in the United States are required by law to accommodate those with disabilities such as hearing loss. Make requests or concerns known to management and let them assist you in finding a solution. There are nearly 40 million Americans who have difficulty hearing, so you are certainly not the first one to check into their hotel and ask for assistance. They’re likely more prepared to solve the problem than you are! Trial: Relying on hearing aids when traveling, so much can go wrong! Hearing aids are a sophisticated and specialized technology. You probably take a lot of comfort in knowing that your audiologist is close and on hand if something should go wrong. Traveling for vacation puts you right out of that comfort zone, having to deal with issues that come up all on your own. Pack extra batteries and tubing. You might not ever crack into this stash, but it will be there should you need them. They also may be difficult to obtain in some destinations. Also consider bringing a dehumidifier along with you to dry out your hearing aids at night. This will ensure you’re preventing moisture problems, particularly in a warm, balmy climate. Pack any necessary hearing aid accoutrements in your carryon luggage instead of risking loss by checking it. Come visit us at Coweta Hearing before you set off on your travels. Our team can provide maintenance and repairs and also offer you any additional tips for traveling. Our team will be most familiar with the make and model of your hearing aid and can point you in an even more focused, and better direction.